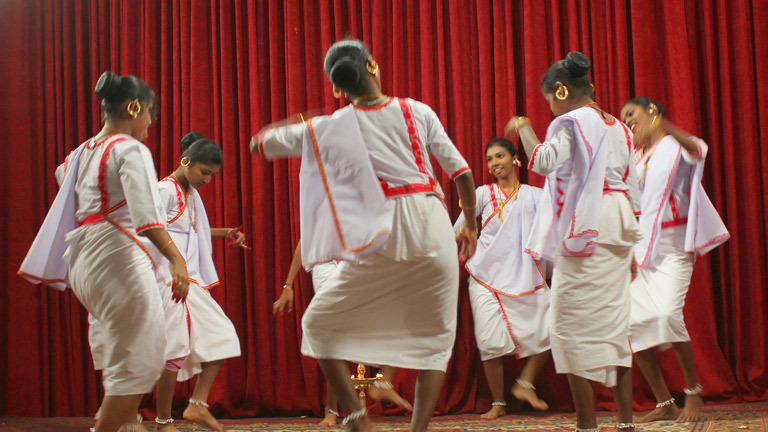 Margam Kali is a ritual art form popular among certain sects of the Christian community of Kerala. Rhythmic movements and songs are the major attractions. The participants wear traditional costumes and jewellery. The movements of this art form are very difficult and it needs rigorous training to master this art form. The songs are mostly devotional. Certain songs present the history of Christianity in Kerala. The word "Margam" means path or way or solution in Malayalam. In the religious context it refers to the path to attain salvation.